Archive accounts of the BBC's first Spanish and Portuguese broadcasts, launched in March 1938 as part of the struggle with the Nazis for hearts and minds in Latin America. In March 1938 the BBC began its first broadcasts to Latin America in Spanish and Portuguese. The new foreign language service was launched amid rising concerns over the influence of Nazi Germany and fascist Italy in Central and South America. 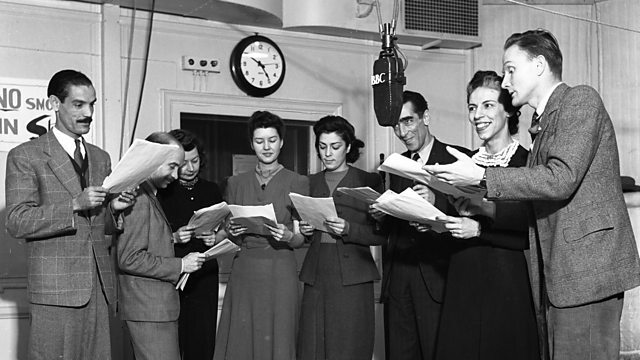 Mike Lanchin has been listening back to archive recordings from the time, including the very first broadcast on March 14th 1938 and the memories of some of the BBC's first Latin American Service presenters and producers.